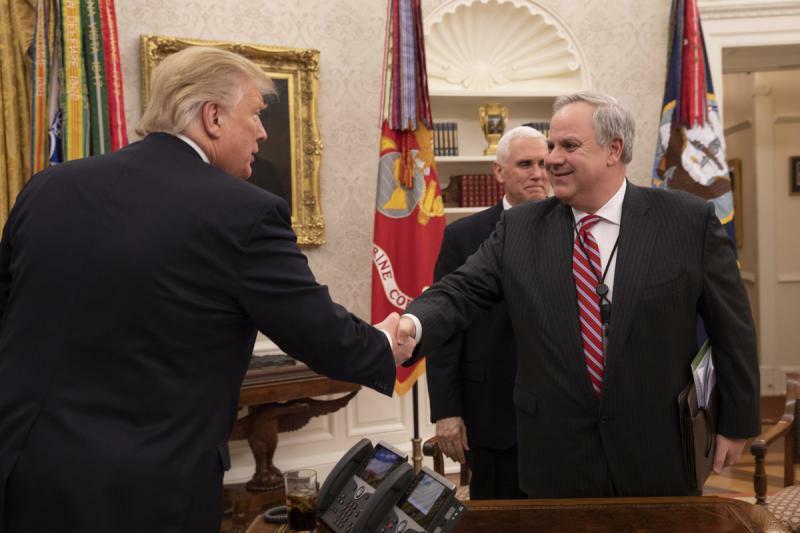 Acting Interior Secretary David Bernhardt. U.S. 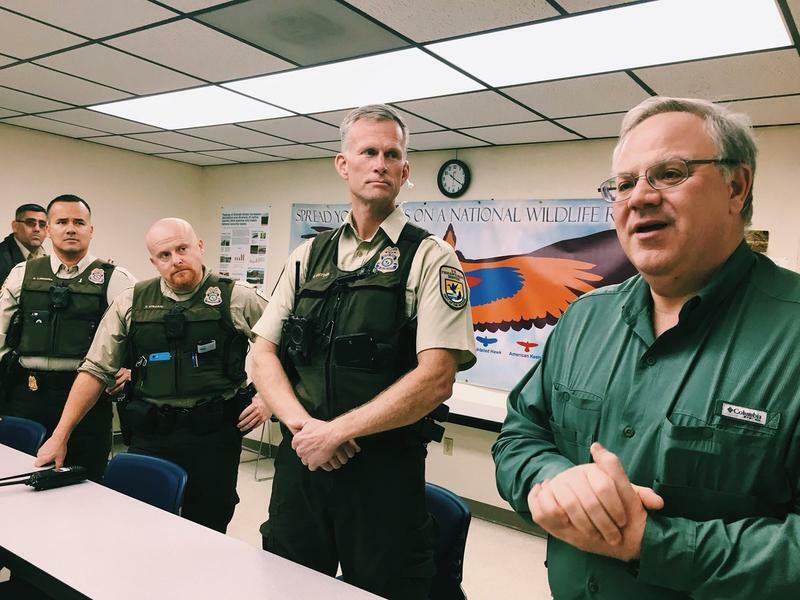 Interior Secretary David Bernhardt has been accused by Democratic lawmakers and nonprofit accountability groups of violating ethics rules, prompting a review by that agency’s inspector general. Bernhardt, a former lobbyist, is alleged to have broken an ethics pledge he signed after joining the Trump administration in 2017. He tried to weaken environmental protections for a fish species in California. The tiny Delta smelt was at the center of a battle over irrigation involving an agricultural client for whom Bernhardt used to lobby. “When you look at this as a whole, it’s hard to tell where David Bernhardt’s private sector lobbying activities end and where his public service begins,” said Brendan Fisher, an attorney with Campaign Legal Center, one of the organizations that filed the ethics complaint. Bernhardt has been dogged by accusations he changed rules and regulations to benefit former clients since he became acting interior secretary earlier this year. Sens. Elizabeth Warren, D-Mass., and Richard Blumenthal, D-Conn., sent a letter in February to the Interior Department’s ethics office expressing concerns about Bernhardt’s potential violation of Trump’s ethics pledge, which was made public by the New York Times earlier that month. "As the acting head of a major government agency, it is incumbent upon Mr. Bernhardt to be held to the highest standards of ethical conduct and to avoid any appearance of impropriety, including the perception that he has given his former client an unfair advantage and favorable treatment in the formulation of government policy," the senators wrote. But the Interior Department’s ethics official, Scott A. de la Vega, responded that Bernhardt complied with existing ethics rules in this case because the former client was an agriculturally focused water district run by a local government. Governments are exempt from the Trump-mandated ethics pledge. “My experience is that the acting secretary is very diligent about his ethics obligations and he has made ethics compliance and the creation of an ethical culture a top priority at the Department,” de la Vega wrote to lawmakers. Bernhardt was confirmed by the Senate Energy and Natural Resources Committee on Thursday. 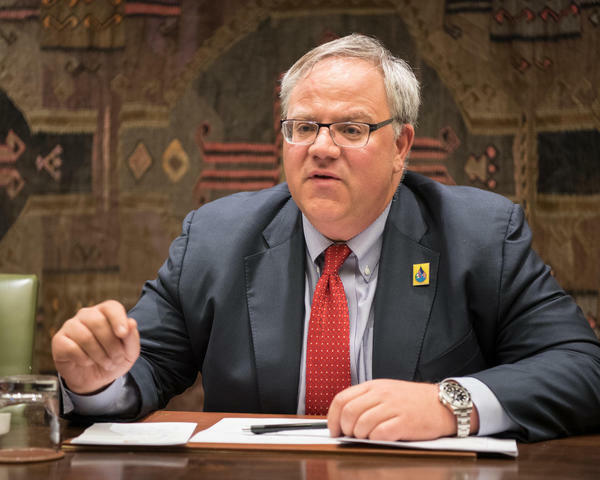 Acting Interior Secretary David Bernhardt faced fiery questions during his senate confirmation hearing Thursday.